Wates Residential has appointed Lia Silva to the new role of Development Director, responsible for leading its joint venture partnership with the London Borough of Havering. The appointment comes as the business continues to expand its presence in the residential development market across London and the South. Lia joins with over 10 years of industry experience and a Masters in Architecture from Faculdade de Arquitectura da Universidade do Porto, Milan. She also boasts a wealth of industry experience including project leadership, urban planning and marketing within the London residential market. Lia joins Wates from Ballymore Group, where she held the position of Senior Development Manager, working on major regeneration schemes in London including the new 40 acre Royal Wharf development in East London. 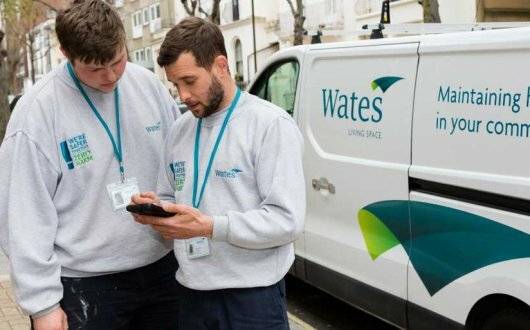 In March 2018, Wates Residential announced its investment in a £1bn joint venture with the London Borough of Havering to regenerate 12 Council estates, providing 3,000 new homes across the borough over the next 12 years. The joint venture has recently hosted a series of consultation events across the Waterloo Estate in Romford, Serena, Solar and Sunrise Courts in Hornchurch, and Napier and New Plymouth Houses in Rainham and has also completed the delivery of its first 11 apprenticeships and work experience placements. Wates’ current housing development portfolio across the UK includes the Erith Park regeneration programme in Bexley in partnership with Orbit; Cardiff Council’s flagship Cardiff Living partnership to create 1,500 new homes and the Daedalus Village scheme in Lee-on-Solent that will see 200 new homes built at pace at this historic location.